Paycron offers a myriad of merchant services including credit card services, terminals, and the latest industry-specific solutions. We understand that your business is distinctive, thus we provide an array of merchant services to simplify the entire process by helping you streamline the payment process, maximize sales and run your business smoother. Many e-commerce merchants face difficulties when trying to find good credit card processing services. We can help by introducing you to major foreign banks that have fewer trading restrictions. Your problems are solved since these banks invite applications from players no matter if your industry is considered low, mid or high risk. At Paycron, we make it easier for you to complete the entire process. Our large network opens your company to a number of leading merchant acquiring banks. Paycron offers flexible low, medium and high-risk payment processing solutions with no geographical restrictions. Those e-commerce businesses which do not have a chance of opening an account through a domestic bank, can opt for services through Paycron. In collaboration with some of the leading merchant acquiring banks, Paycron can take your online business to the global level. Moreover, you can receive significant benefits, like multi-currency payments and more. We provide simple, affordable merchant accounts that take the business to upscaling heights in no time. Accepting credit cards is necessary for every business. But the difficult task is choosing an online credit card processing company. The demand for fast, reliable and secure processing options have grown over the years. We offer innovative, comprehensive and secure services, which are specifically designed to meet the business needs of e-commerce merchants. With our in-depth knowledge and expertise, Paycron can provide the best services for you to accept credit cards online quickly and securely. Choosing the right credit card processing terminal that best suits your business needs can reduce your processing costs and increase your profits. Paycron has the expertise to help you select the right terminal for your business. Many merchants will also opt for a complete point-of-sale terminal. 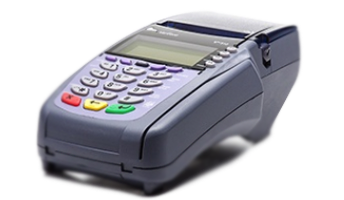 Our point-of-sale equipment makes credit card payment processing a seamless part of your sales and operations. Today’s consumer has no patience. Whether you are a tradesman or run a delivery business, your consumers will want to pay instantly, wherever they are. Accepting mobile payments is key to conversion and driving revenue. With Paycron’s easy and simple mobile card reader, you can reach today’s digital customer. It’s fast, simple and you can accept payments immediately from your customers — no matter where they are. TA reliable and secure virtual terminal is essential for e-commerce merchants. If you ever had issues with your shopping cart, or other website issues you need an urgent alternative! An internet virtual terminal is the best option in that case. In addition, a virtual terminal will also allow you to complete the payment process from orders received over the phone, or through fax or in the mail. This option is also ideal for accepting payments if you are out and don’t have a mobile terminal. Just login anywhere in a flawless and risk-free manner to complete the sale! Paycron makes low, medium and high risk processing easy. Whether you have a small, medium, or large sized business, we provide services tailored to reflect your processing needs. In addition, our networking with major merchant acquiring banks all over the world helps your company accept secure payments online — no matter the size of your business and the risk level of your industry. Paycron has an extensive network of providers for your business. We can set up your merchant account quickly and help you to start taking card payments without any hassle. We not only help you start a merchant account but also help you with the entire transaction process. Plus, our customer service also extends well beyond the initial sale — you will have a personal liaison for your business for years to come. Whatever business type you belong to, we can help select the right credit card machine. From countertop terminals to mobile apps and e-commerce shopping cart checkouts, we have everything to keep your processing game strong. 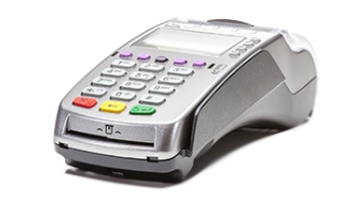 Some of our most popular credit card machines are explained below. Wait! These are just a few of them, as our collection is way too extensive. Robust and dependable, two words that define this everyday usable device. Tasks like encryption, decryption and processing are no big deal with VX520 by one’s side. It supports alternative payments owing to Integrated Near Field Communications (NFC) feature. Besides, this revolutionary equipment is also known for supporting loyalty and gift card acceptance. VX520 comes with a complete range of connectivity options - dial to dial plus Ethernet. Its optional battery lets you taking it anywhere. 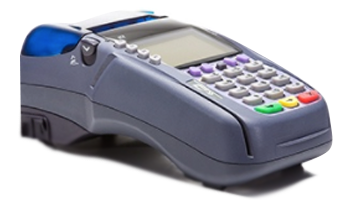 Giving merchants the ultimate processing speed, VX680 is a wireless hand-held device. HSPA+3G makes it one of the fastest products in the current market. 3G allows devices larger bandwidth to quickly download videos, colorful graphics and pictures on the POS display. Things can be taken further by adding GPS, which enables tracking fleet of devices in the field and placing territory limitations. Other specifications include a 3.5-inch touchscreen color display. For contactless card and mobile device payment, near field communications (NFC) is enabled. Space-saving credit card terminal, this one is easy to install and use. It supports external PCI PED approved PIN Pad. Designed with intuitive ATM-style interface, it offers wide backlit display that has ergonomic keys to reduce the errors. Keeping wait times to minimal, VX510 includes a high-speed printer. In other words, processing customer turns quick and effortless. Other than these incredible features, the product supports additional features, such as imaging electronic bank debit, reading electronic bank debit and contactless payments. A perfect fusion of speed and performance, VX570 DC is a countertop solution. 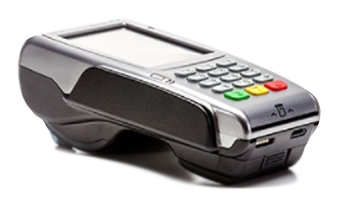 In a very efficient manner, it supports EMV chip card transactions and value-added applications. Distinguishing trait about the product is that it provides option to either dial connect and Ethernet or merchants with broadband service can process payments instantly via this always-on connection. 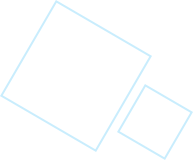 Its increased memory enables merchants to include value-added applications. The device stands for intact security with SSL/TLS and VeriShield Retain file authentication. Counted among world’s smallest credit card terminal devices, Ingenico ICT220 CL is easy to handle and meant for everyday use. 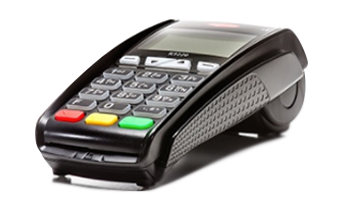 It accepts all electronic payment methods including magstripe, EMV chip & PIN and NFC/contactless. Compatible with highest security requirements, the device is PCI PTS 3.x certified with SRED and Open protocol modules. Its optional PIN privacy shield is the reason behind PIN entry confidentiality. 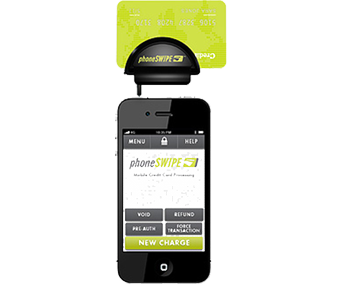 Phone Swipe, a free app and card reader, transforms the smartphone or tablet into a mobile point-of-sale terminal and allows accepting American Express, Visa, Paypal, MasterCard and Discover payments. Supporting small to mid-size businesses, the terminal allows end-to-end security, easy transactions and live support. A must for merchants who are always on-the-go!